What happens when a community loses touch with the native environment in which it is built? What does a city in the desert forfeit when knowledge of native ecology is sacrificed for freeways and sprawl? 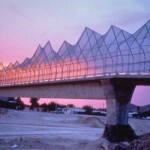 That’s the question posed in a new project from Desert ArtLAB, an initiative that explores the connections between ecology, culture and community. 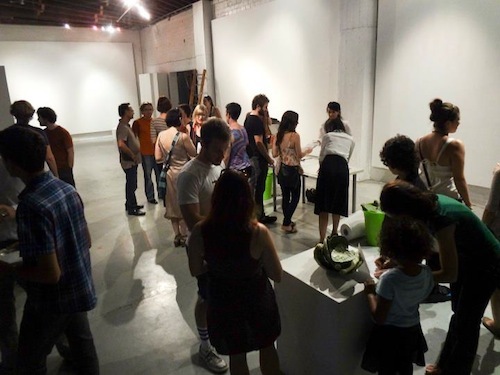 While working on his Masters thesis, Matthew Garcia developed the idea for Desert ArtLAB as a way to bridge the community, academia, and art. 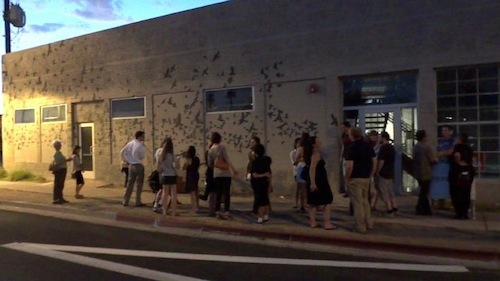 The most recent project, LAND Knowledge, brings together artists, activists, researchers and residents of Phoenix to plant cacti in vacant public spaces and document their efforts through photographs or videos. 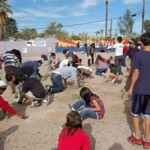 For this effort to promote the benefits of native ecology in urban Phoenix, Mayor Gordon awarded the title “Friend of Phoenix” to Desert ArtLAB on August 19, which he also designated as Community Cacti Planting Day. 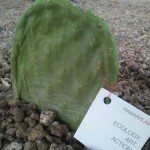 Artists and activists met at monOrchid where they received de-spined prickly pear cactus pads (or nopales) and given the charge to plant them in blighted, urban areas. The group kicked off the project by planting two large prickly pears on the south side of monOrchid. 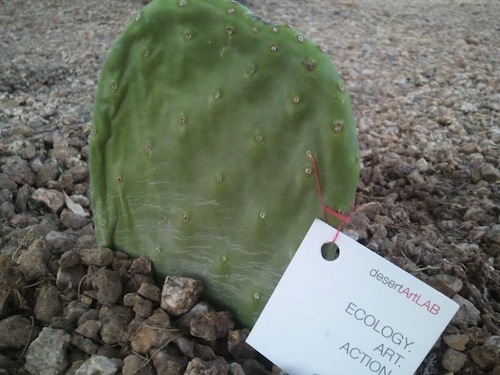 80 cactus pads threaded with a small card displaying the Desert ArtLAB message “Ecology. Art. Action.” were distributed. An important component of the project is documentation. When a cactus pad is planted and reported to Desert ArtLABS, the location is plotted on an interactive map. 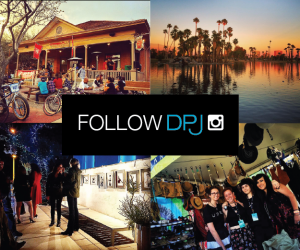 The photo/video submissions will be included in a Spring 2012 Desert ArtLAB exhibit. A prickly pear cactus is its own art exhibit- statuesque with green cylindrical pads covered in spines or tufts of glochids with waxy flower blossoms that add a splash of bright yellow or pink or deep red and orange hues next to clusters of bulbous red fruit. Like a work of art, it is something best left untouched. “We chose this cactus because it’s a perfect symbol of the desert. They need very little but give so much back,” Garcia said. This miracle plant is grown and harvested in other arid environments of the world. They require little maintenance or water and have been a food source since ancient times. The fleshy pad can be grilled or boiled and used in any recipe that calls for vegetables (try it in a taco or fajita! ), the fruit is used to make jams and jellies while the sap is used in Mexico to make an alcoholic drink called colonche. A future phase of the LAND Knowledge project is to harvest the newly planted cacti to use in dishes for a community dinner. Garcia said they are using this project as a platform to create art, research, and activism. 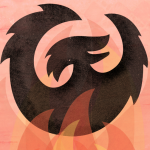 “We found an issue that people care about, and it’s a fun project. We are creating our own community initiative to show why the desert is special.” In September, Garcia will be presenting LAND Knowledge at George Mason University to share with others in academia how Phoenicians are reclaiming urban space through native ecology. 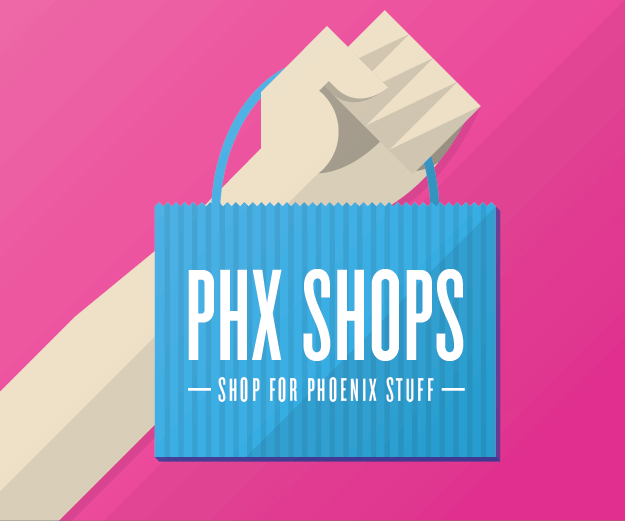 Desert Art LAB is still distributing cactus pads to anyone who wants to take part in the project. Contact them through their website or on their Facebook page and start planting.